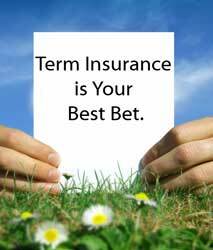 Buying Term Life Insurance: Preparation is Key! Term Life Insurance is just that; life insurance for a designated term, or period of time. Depending on the buyer’s individual needs, a policy can extend from 5 to 30 years. Those companies offering ‘return of premium’ policies repay the entire amount of premiums paid into the plan over the course of a term. You should consider buying insurance online. There are several advantages to it. You need to pay close attention as there would always be people trying to trick you and make fast cash. Life insurance is one of the biggest services a person will purchase, and when buying term life coverage for a number of years, it is important that you get it right first time. Those receiving too much insurance coverage could end up spending thousands of unnecessary dollars over the course of the policy’s term. Know your product: Customers often make the mistake of comparing plans for different life insurance products online. If you want to avoid frustration further on, it is essential that you know that if you are shopping for term life insurance, you don’t compare plans with other available options. This will simplify your policy search tenfold. It is relatively popular for its low premiums and financial security. Investors favor universal and whole life plans, as they have potential as financial assets. All these insurance types have variations within them, so it is important to weigh up your options before you start getting quotes. Select appropriate coverage: This can be tricky at first, but provided you are mindful as to your budget and what you need in terms of coverage, you will make better decisions when it comes to buying a policy. It is commonplace that a policy buyer will go straight for the product which offers the most services and the lowest relative price. This isn’t necessarily the best strategy when planning for the long-term. Unnecessary coverage is wastage that will result in higher premiums. As a rule of thumb, don’t buy insurance that exceeds double your total household income. Cast your net far and wide: It is a common error to only compare a couple of providers, when the market is considerable and competition is vast. Although providers use the same means of calculating premiums, rates can differ greatly. It is advisable for buyers to compare at least four plans prior to arriving at a decision. Other things to consider are the provider’s reputation and stability. Check the rating for their nationally recognized statistics ratings on all insurers. Reputable insurers will have a higher likelihood of providing excellent service for the length of the policy’s term. What term length should a person opt for? How long is left on your mortgage repayments, in order to have paid all installments by the end of your life. The time left to repay a loan, particularly if life coverage is a condition of that loan. The time it will take for all your children to finish their education. Term life insurance will provide the security to ensure they will receive essential maintenance costs, whatever happens to you. The last point is a very popular one, as often a person’s children are the beneficiaries of their policy. 20-30 year terms are by far the most commonly purchased insurance terms, as this is a sufficient amount of time to clear outstanding mortgage repayments and see their dependents through to self-sufficiency. Death benefit is also referred to as face amount and will always remain static for the duration of your policy’s term. With a term life policy several things come with a guarantee: Your contract is guaranteed, as is the length of term, the face amount and a level premium is guaranteed to remain the same throughout your requested term. These level term premiums will not change for the entire length of your insurance term. If your health begins to fail or you reach old age, or if inflation hits an all time high, your term life policy premium will not fluctuate. Those wishing to purchase a policy will benefit for years to come and with no hidden costs or unwanted surprises along the way. To summarize, when buying term life insurance, know which type of policy you need; know the amount of coverage you wish to opt for, and check the background of your considered policy providers and you will be in a far better position to buy a plan. This plan has to last you a generation, so make sure you get it right first time and you could potentially save hundreds or even thousands of dollars.